Entries are now open for upSTART, Northern Ireland’s most exciting startup pitch competition which features an all-expenses paid trip to explore the New York tech scene for the winner. Part of Digital DNA 2019, powered by PwC, the tech event held in St Georges Market in Belfast in June, upSTART is in its fourth year and this year is exclusively open to startups from Northern Ireland with the aim of shining a light on the best tech innovation the region has to offer. Alastair Cameron, founder of Startacus and newly-appointed Startups Programme Manager at Digital DNA, said: “We want to celebrate the huge amount of startup success in Northern Ireland and let the world know about the brilliant ecosystem which is supporting so many on their entrepreneurial journey. There is so much NI talent out there and this competition has a habit of finding it. The one-day competition will play out in two rounds, starting with around 40 disruptive startups who will each give a three-minute pitch to qualify for the final. From this, the judging panel of investors, professionals and entrepreneurs will pick the winner which will be announced on the second day of Digital DNA. The winning startup will be awarded with an all-expenses paid trip to New York where they will be introduced to the startup world in the city by Alastair and Simon Bailie, Chief Executive of Digital DNA. Those who apply for the pitch competition can either get one free ticket across both days of Digital DNA 2019 or they can apply to exhibit at the event where they can display their business to 3,000 delegates who are expected to attend, attend one-to-one investor and mentor meetings, gain media coverage, and go to an exclusive evening social with a number of the judges, investors and fellow startups. Any Northern Ireland-based startup is entitled to apply – even those from the early proof-of-concept stage – provided the business is not more than three years old or has raised more than £1.5m. Digital DNA 2019, which is running over two days (18th and 19th June 2019) in St George’s Market in the city, is powered by PwC for the second consecutive year, and will once again allow the tech sector to collaborate, expand their reach and gain exposure to new technologies. 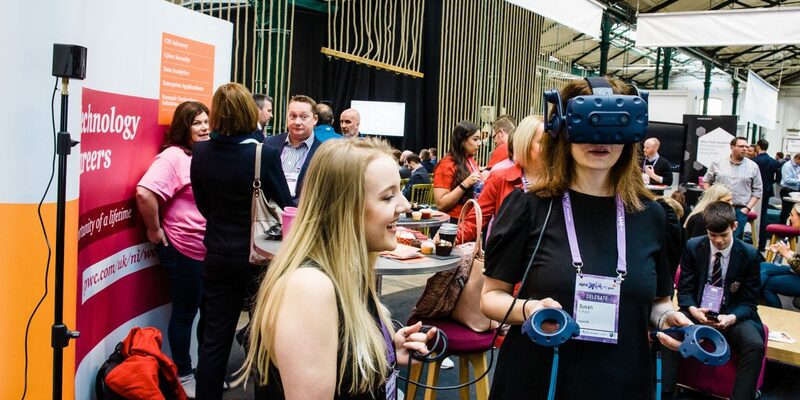 Tickets and further details of the event can be found now at digitaldna.org.uk and NI startups interested in applying to pitch and exhibit at the event should visit our UpStart 2019 Page.